Monroe fought alongside General George Washington during the American Revolution and, afterward, studied law with Thomas Jefferson. He was elected the fifth president of the United States in 1816 and served from 1817 to 1825. 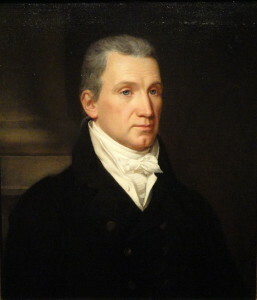 Despite economic hardship during this period, Monroe’s administration was dubbed the “Era of Good Feelings.” Monroe’s most famous contribution to American history was his promulgation on December 2, 1823, of the socalled “Monroe Doctrine,” which put European powers on notice that the United States would resist any attempt to establish colonies in the Western Hemisphere or otherwise interfere in the affairs of the region. The doctrine further stated the intention of the United States to hold itself aloof from European affairs. The Monroe Doctrine has exerted a powerful influence on U.S. foreign policy ever since.